Many years ago, we developed a minor interest in kayaking and bought a tandem inflatable kayak. We loved the fact that the boat rolled up into a big duffle bag and that it was easy to fit inside the car. We didn’t like the idea of having to have racks on top of the car or somewhere to store the kayaks in the winter. That kayak served us well for the better part of 10 years. And admittedly, we’re not big boaters. 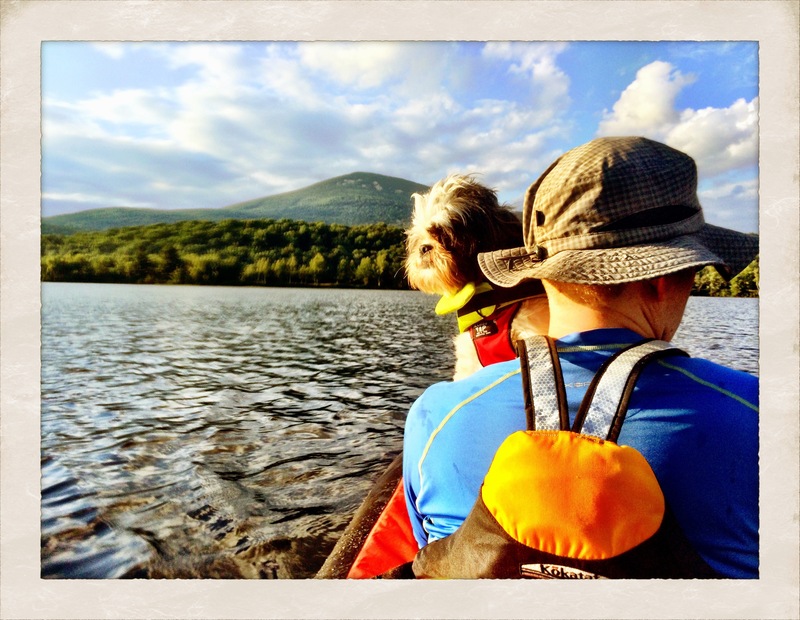 We like to paddle around together on a relative flat lake and enjoy the view. A couple of years ago, we were looking to upgrade our boating equipment because we realized that there were some things about the gear we had that made us reluctant to boat more. So we decided to really research our options. We ended up buying a new tandem inflatable kayak, new paddles and new life jackets and it has really made a difference with our desire to kayak. We still have that efficient method where the boat is in a big duffle that sits on the porch ready to go at any moment and easily fits into the back of our car. But because the gear is easier to inflate and get out there, we use it more. This has influenced us to look specifically for camping that gives us easy access to ponds and lakes where it would be fun to tool around. Fish Creek Pond, Rollins Pond and Lake Durant in the ADK are all great for this, as is North-South Lake in the Catskills. When you can camp lakeside and push off at a moments notice for a quick paddle around any time of day, that is ideal.